A recent Autotrader study aims to prove that Multi Tier advertising generates the most impact. When an advertising experience includes ads from OEMs (Tier 1), Ad Associations (Tier 2) and Dealers (Tier 3), shoppers are more likely to recall the make/model and are more motivated to consider it. 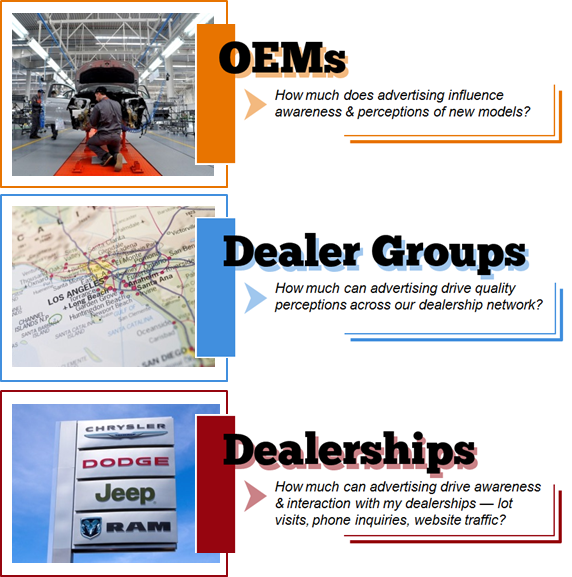 Download the research presentation and Multi-Tier Advertising one-sheets now to see how a Multi-Tier ad experience has the most influence on vehicle purchase consideration. If you have questions regarding this study or would like more information, please contact your Autotrader Account Executive.